Former Senator Al Coppola has been pulled out of retirement by various factions of the Democratic Party. 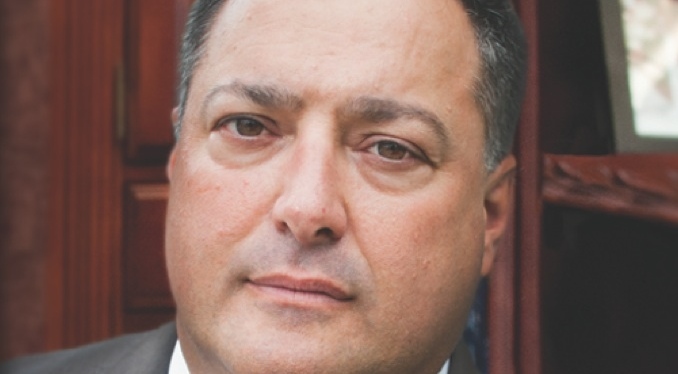 Senator Al Coppola, the Democrat running for State Senate against Mark Grisanti, is disgusted with the way that today’s political discourse has wrongly bashed teachers in the media, often using hard working career professionals as political scapegoats — for purposes that often have little to do with education and more to do with privatizing public services and school district dollars, he says. Since Carol’s passing a few short years ago, Al has rededicated himself to defending the plight of teachers, often recalling her career in tribute to her memory. Listening to Al recall those stories, one is quick to recognize the extraordinary love that he still has for her. While he supports a more professional pay scale, performance based bonuses, and wants to help teachers earn their PhDs free of tuition — he has some serious issues with how the media has pointed fingers rather than spotlighting solutions. “If you have a classroom full of children who have newly arrived in America and cannot speak English, does it make sense to punish that teacher with poor performance evaluations? Or does it make more sense to give these children the resources and programs to first learn English?” Coppola asks. “Of course, we all support accountability and performance reviews, but what we do has to make sense and has to have legitimate, deliberate, productive outcomes. If we are simply rewarding teachers who are lucky enough to have great students from good families, then we’re creating a lot of perverse disincentives,” he explains. Coppola supports a performance review system that is rooted in faculty mentorship programs and peer-to-peer evaluations rather than strictly on the basis of standardized testing. The former Senator, who retired after serving in the State Senate a single term, is remembered widely for his humility, honesty, and unassuming style — which still stand in stark contrast to the narcissistic and self-aggrandizing political culture as of late. Coppola represented North Buffalo on the Common Council in the 1990s and is a longtime fixture in Buffalo’s activist communities — especially on environmental and energy issues. After leaving the State Senate disgusted by its culture of corruption and self dealing, Coppola founded the Energy Cooperative of America and still sits on its Board of Directors, even well into his retirement. Perhaps the characteristic he is most known for is his fierce independence, never bowing down to special interests or political puppet masters. For instance, he is the only candidate running for State Senate in the 60th district who is unequivocally opposed to the natural gas industry’s push to authorize hydraulic fracturing in New York State. If he were in politics for money, he would be sucking up that industry’s campaign contributions like wildfire — but such behavior violates the ethics and integrity that he holds himself to — regardless of how his opponents continue to behave. Grisanti, who chairs the Environment committee, has been working for four years with the now disgraced Senator George Maziarz, who chairs the Energy committee, on rewriting the state’s drilling regulations. Both men are known to hobnob for special interest contributions, and have accepted massive sums from the drilling industry. Coppola isn’t afraid to buck his own party, either. He is a defender of the second amendment, for instance. But Al has never been afraid to have conversations with people who might disagree with him — and never afraid to disagree with party dogmas, making him a rare breed among politicians. While Coppola is the furthest thing from a “party hack” that one could imagine, an entrenched Democrat party town “zone chair” named Marc Panepinto continues to wage a primary effort despite dogged criticism against him. Panepinto was convicted of election fraud years ago and his license to practice law was suspended as a result. He pled guilty to falsifying the signatures of hundreds of registered Democrat voters from North Buffalo and Tonawanda, and then affixing his name to fraudulent petition documents as witness to their legitimacy. I’m told that Panepinto has been asked by a Coppola campaign staffer to apologize individually, to every voter whose signature he forged. “It’s the absolute least he could do,” said the staffer. Democrat “town chair” Marc Panepinto is deeply unpopular inside the party.